The Tokina AT-X 840 AF D 80-400mm f/4.5-5.6 lens is amazingly compact for a zoom lens that has a bright f/5.6 aperture at 400mm. With a range from 80mm to 400mm, this is a whole range of lenses bundled into one shell. Optically, the AT-X840 AF D has new multi-coatings applied to the elements that are formulated to compensate of the highly reflective CCD and CMOS sensors in today's Digital SLR cameras. The improved multi-coating greatly reduces the chance of internal flare or ghost reflections. The AT-X 840 AF D has been improved and updated with a smooth and quick internal focusing system. This means that the all-metal inner barrel that houses the heaviest glass elements does not have to rotate when the lens focuses, making it much faster than the previous models. 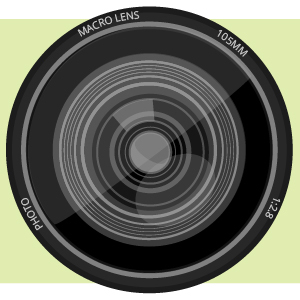 Optimized for use with digital SLR cameras, with an equivalent range of approx. 128-640mm. Built-in tripod collar makes for a well-balanced camera/lens combination when using a tripod or monopod. The lens hood with the PL Assist spring loaded thumb wheel allows a circular polarizer or special effects filter to be rotated while the lens hood is in place. 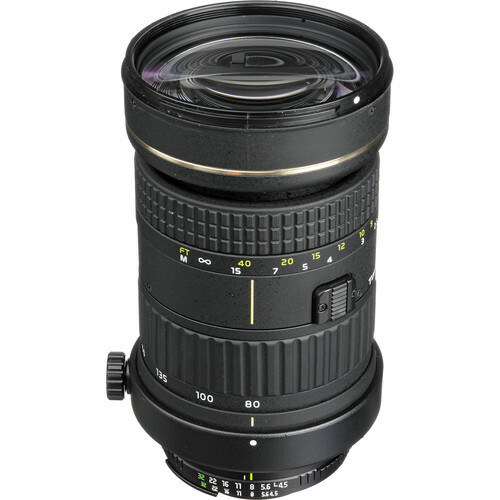 AT-X 840 80-400mm f/4.5-5.6 D Lens for Nikon -D Cameras is rated 4.3 out of 5 by 13. Rated 5 out of 5 by P Shive from Tokina 80-400 This is my second Tokina lens I purchased for my D-80 (the other is their 12-24 mm) and once again I am very pleased. I bought this lens for two reasons: 1. The relative small size for such a large focal range and 2. price. I just returned from a three week trip to Africa and this lens performed superbly. The construction is solid and the quality of pictures, especially when using the hood that comes with the lens, was better than expected. The only thing I wish the lens had is vibration reduction, but for the price that would be asking too much. For a non-professional photographer such as myself, this is an excellent alternative to the high priced Nikon lenses. Tokina makes a quality product. Rated 5 out of 5 by Anonymous from Excellent telephoto-zoom I give this lens a 5-star as I am an amateur photographer and have simply continued to step up as I progress. My experience with this lens however, has been nothing but stellar. This lens is fast focusing when attached to the D90 producing crisp images at ranges I've struggled with in the past. Would recommend this lens for anyone looking for a good quality AF-D style tele-zoom lens. Rated 3 out of 5 by Charles Candles from Fair to good lens I use the product for casual, family, swimming meets pictures. It is the next lense I'm using after the 35-80mm get out of range of what I need to capture. At normal light conditions I find it pretty good. It is more challenging at low light since it is only a f/4.5. But for the price to get a ligthweight with a 80mm-400mm range it is a good choice. After my 1st use, one of the screws to lock aperture setting dropped and lost it. It was a not essential screw for the lens to work but it was a little bit of disappointment. Noise levels at 80mm to 200mm are low, once you pass the 300mm to 400m pictures shows noise. Not enought to discard pictures but enought to notice. Rated 4 out of 5 by jwa from OK. I use this lens with my D80 and D300 and it usually performs quite nicely. It goes out of focus easily in low light with AF but most of the time does fine. Ive used it for shooting hydroplanes, airplanes, theatre, birds, landscape, and all sorts of things. I kind of wish I would have only got a 70-200 f2.8 but I got this because at 400mm it has the same f stop as the other w/ a teleconverter. Good lens for the price! Rated 5 out of 5 by axelstep from An amazing feat of engineering! FANTASTIC! This lens is everything that anyone ever wanted in a zoom super-telephoto lens. It is very compact, it is very powerful, it is very cheap for the incredible results it delivers. Only problem: lack of image stabilization, but when you have this lens, you realize that it isn't that necessary. I use this lens for every day use, as one of my two daily runabout lenses. Rated 5 out of 5 by Ranscott from I am impressed! This lens surprised me greatly. My specialty is shooting wildlife and birds of prey, neither of which can be easily done from a tripod. I can even get great hand held shots at 400mm. The wheel on the sun shade is awkward and can be a pain but I am learning to work around it. Can the tripod collar be removed? The description says built-in, but still is there a way to get it out?